Yes, I know that Girona Airport is NOT the THE Barcelona Airport (El Prat) but at least one major airline insists on calling it a Barcelona Airport so I thought I should, at least, note it here. The same airline also calls Reus Airport “Barcelona Reus” so please be sure which airport you are going to/from. Girona to Reus is some 200 kms/120 miles. You do not want to end up at the wrong one! Girona to the centre of Barcelona is approximately 100 kms but the express coaches do it in little over one hour. Full details on the official AENA website where they call it Girona-Costa Brava! Transport – details of express buses to/from Girona Airport here. RentandoAutos.Com is the first unique price comparison for Car Rental. Offering car rental services in over 174 countries, with more than 800 national and international car hire agents and with 30,000 pick up points and offices worldwide. 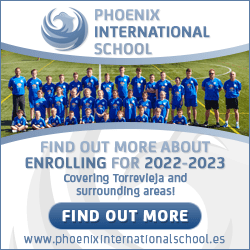 We are particularly active in Spain and especially so in and around Barcelona. We have over 10 years experience in the tourism industry, and we fully understand the word “Service” for that reason we have the highest standards of quality and customer service. Because for us “YOU” are important. We compare a wide variety of cars, from class Mini, Economy, Compact, Sedan, Luxury, Superior, Vans, among many others. Everyone who uses the service of RentandoAutos.Com enjoys our low prices and special offers all inclusive. The prices listed in our system are clear – you can see what means all inclusive. We guarantee our prices so you can be sure you are getting the cheapest rent possible and do not need to spend your time comparing prices between different car rental companies. Our motto is “The easiest and cheapest way to rent cars online”. In 3 simple steps you can have your car, anywhere in the world and at the best price. What are you waiting for? See you in 3 steps at the other side of the steering wheel.